Today I walked past my slumbering motorcycle as I dragged the recycling can to the garage door. I believe I may have seen a sneer of contempt from the 690 as it sleepily sipped go-go juice from the battery tender. 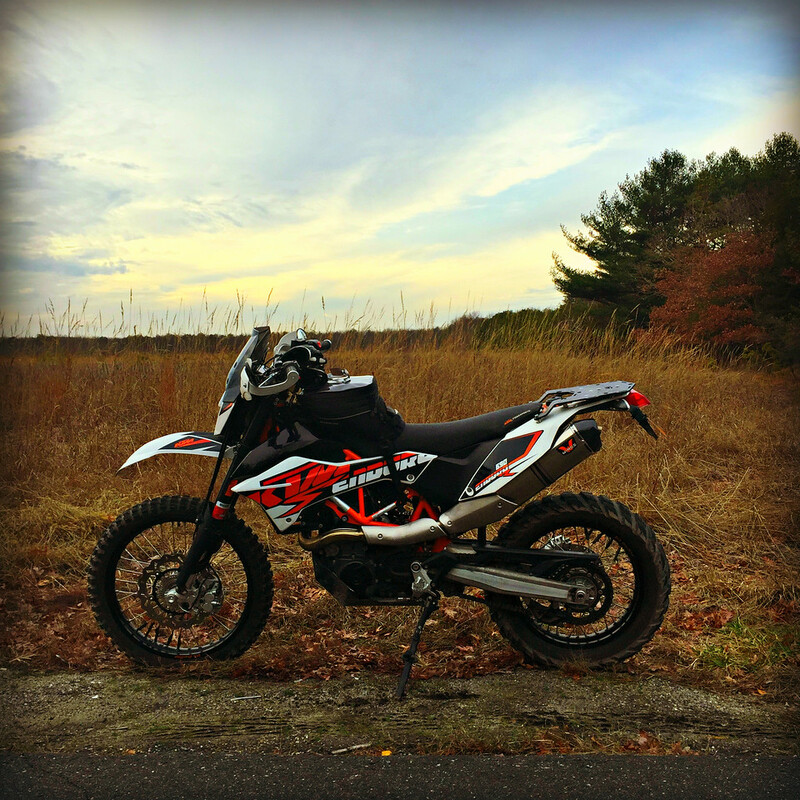 The KTM may be a tad melodramatic. It hasn’t been especially cold lately but after the blizzard 2 weekends ago, the roads are still messy with nasty, corrosive salt. That stuff gets everywhere and I couldn’t easily get to the hose in the backyard to wash down the bike so… I’ve been waiting. After today’s pouring rain the streets should be nice and clean. Tomorrow is tomorrow’s today, so on that today… I may get out for a ride! It rained buckets here today. And now it’s a pea-soup-fog kind of evening. Does it have an Austrian accent?